Wednesday 15th February saw the 2017 ITTF Premium Junior Circuit French Open commence in Metz, with the opening day of the tournament featuring action from the Junior Boys' and Girls' Singles events and both the Junior Boys' and Girls' Doubles competition. Overall it was a positive start to the Open for French and Japanese competitors. The first order of the day was the qualifying group matches for both the Boys’ and Girls’ Singles categories and with main draw places up for grabs there was much at stake for the players in action. Group 15 in the Girls’ Singles qualification round saw France’s Nolwenn Fort claim match victories in all three of her encounters including a positive result against Hong Kong’s Chau Wing Sze, while Singapore’s Lim Eunice stunningly finished ahead of the player seeded top for group 13 Simay Kulakceken of Turkey due to a stronger games ratio. With the top eight seeded players in the Boys’ Singles competition moving straight through to the main draw, the question was which of the competitors would claim the remaining spots beyond the qualifying group stage. Matthew Leete of England was the standout player in group 9 and despite being the lowest ranked competitor in the group he went on to win all three of his matches to seal top spot, and in a very similar fashion Turkey’s Umut Emre Bassan also excelled as he toppled the opposition in group 19. The qualifying group stages were brought to a close and the focus turned to the main draw where both Singles events would be narrowed down to 16 players by the end of the opening day. France will have six representatives in the last 16 of the Junior Boys’ Singles tournament, while Prithika Pavade and Nolwenn Fort moved through to the Junior Girls’ Singles Round of 16 for the home nation. There were very few problems for the higher seeded French players in the Boys’ Singles event with Remi Menand and Damien Llorca coming through their ties against Gal Alguetti (11-13, 11-7, 11-3, 11-3, 11-8) and Artur Grela (11-6, 11-9, 8-11, 13-11, 7-11, 11-6) respectively, but there was disappointment for Leo De Nodrest who suffered defeat at the hands of Poland’s Samuel Kulczycki (11-9, 9-11, 11-9, 7-11, 7-11, 7-11). Victories for Prithika Pavade and Nolwenn Fort in the Junior Girl’s Singles draw came against Aybuke Oner (11-3, 4-11, 11-4, 11-4, 13-11) and Ng Wing Lam (11-7, 11-7, 11-7, 6-11, 11-6) to book fixtures with Hong Kong’s Wong Chin Yau and the top seed Maki Shiomi of Japan in the next round. “I know her well because I played against her last week at the Czech Junior and Cadet Open. She beat me in the 7 games. It was tight. She has a good forehand with her soft rubber and she plays fast on the table”, Nolwenn Fort discussing her next match against Japan’s Maki Shiomi. Maki Shiomi put in a strong performance to eliminate French player Isa Cok in five ends (11-5, 11-8, 11-13, 11-9, 11-7) and there was more success for Japan still to come across both of the Singles draws. There were triumphant results for Miyu Nagasaki, Satsuki Odo, Kana Takeuchi, Yuko Kato and Miyuu Kihara in the last 32 of the Girls’ Singles and all six of the country’s representatives have been kept apart in the next round. 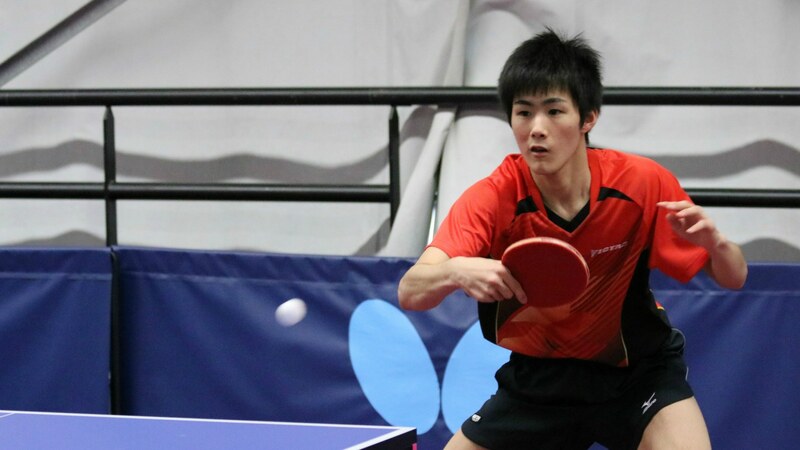 However, there were some exits from Japanese players in the last 32 of the Boys’ Singles as Kakeru Sone, Hiroto Shinozuka and Jo Yokotani were all condemned to defeat. But a terrific showing saw Takeru Kashiwa recover to complete a fantastic comeback victory over home player Florian Bourrassaud (4-11, 10-12, 11-5, 3-11, 11-8, 11-9, 11-9), as Aoto Asazu and Haruki Miyamoto also booked their places in the Round of 16. Alongside the Boys’ and Girls’ Singles action there was also play in the Junior Boys’ and Junior Girls’ Doubles competitions. The Netherlands will have two pairs of players in the last 16 of the Girls’ Doubles with the combination of Yoeke Gunsing and Vera van Boheemen beating Switzerland’s Kimmy Costa and Mireille Kroon (11-6, 11-7, 10-12, 11-5), while Sharon Janssen and her partner Shuohan Men overcame the Danish team of Louise Steffens and Sophie Walloe across four games (11-7, 7-11, 14-12, 11-7). 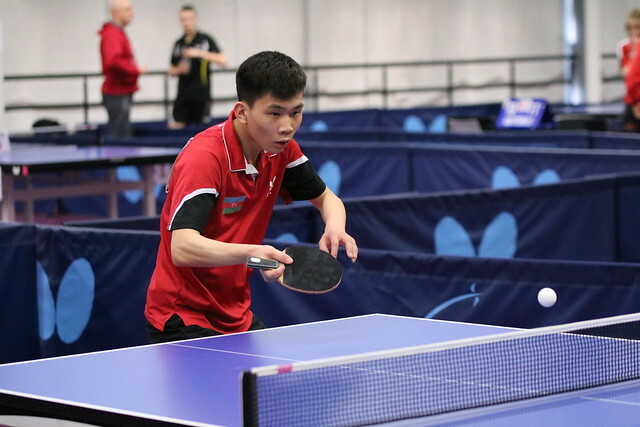 Wang Chenxi and Yang Xinyu competed against one another in the Boys’ Singles final at the 2017 Czech Junior and Cadet Open, and in Metz they have partnered up for the Boys’ Doubles event. However, the duo representing Azerbaijan required a tremendous effort to come through their Round of 32 match as Wang Chenxi and Yang Xinyu recovered from two games down to beat Hong Kong’s Lau Chun Kit and Wong Hon Lam (5-11, 6-11, 15-13, 11-8, 11-3) to keep their spot in the competition.